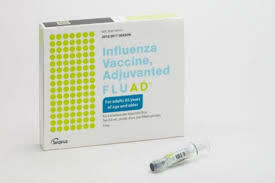 Influenza can be deadly, especially in vulnerable groups and in recent years Australia has had severe influenza ‘seasons’ (although influenza is always around it tends to peak around September/October in South Australia). For this reason the ideal time to vaccinate large groups of people is April/May as this provides best protection at the peak period. While some residents and staff may not have the vaccination due to previous severe allergy all available ‘flu vaccines used in Australia are safe, and contrary to some myths it is not possible to get the ‘flu virus from the vaccination. At Ananda we aim for 95% vaccination of both staff and residents to provide the best protection for everyone. 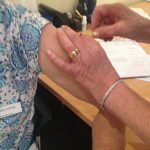 Staff receive the vaccination free at work and should reflect not only on their duty of care to their vulnerable residents but also on the time off work they would have as a result of getting the ‘flu, and also the effect it may have on their own family – elderly relatives, children etc. All staff who are eligible to receive the vaccine should proactively request it. Influenza is not just a bad cold, it is very debilitating and can lead to severe responses and even death. In 2017 1,255 Australians died of influenza. In 2018 the ‘Spanish flu’ pandemic killed an estimated 50 million people – far more than total deaths in the two World Wards in the 20th Century. Please ask for your vaccination now. You will receive full information on the vaccine and be asked to provide informed consent before you receive it.